Keywords: Strategic Information Systems Strategy, Information Systems (IS), Information Technology (IT), Information Security Policy, Contemporary Business, Security Risk, Business Continuity Planning (BCP). 1. Issa-Salwe, M. Ahmed, K Aloufi and M. Kabir, “Strategic Information Systems Alignment: Alignment of IS/IT with Business Strategy”, Journal of Information Processing Systems, Vol.6, No.1, pp….March 2010. 4. BERR (Enterprise and Regulatory Reform). 2008. Security Breaches Survey 2008, UK Department of Business. 5. Beynon-Davies P. Business Information Systems. 2013. Palgrave/Macmillan, Houndmills, Basingstoke. 2nd edition. 6. Bhatnagar, A. (2006). Strategic Information Systems Planning: Alignment of 'IS/IT' Planning and Business Planning. Unpublished thesis submitted in partial fulfillment of the degree of Master of Computing, Unitec Institute of Technology, New Zealand. 7. Brian Fergerson. 2012. Key Stages of Strategic Information System Planning (SISP) Methods and Alignment to Strategic Management Planning Concepts, ERP and Virtualization Services Columbia Forest Products, Applied Information Management Program, University of Oregon. 8. Neil F. Doherty and Heather Fulford (November 2005): Aligning the information security policy with the strategic information systems plan. Computers & Security, Vol 25, Issue 1, 55–63. February 2006. 9. Garg A., J. Curtis and H. Halper. 2003. Quantifying the Financial Impact of Information Security Breaches, Information Management and Computer Security 11 (2), 74–83. 10. Höne Karin and J. H. P. Eloff. 2002. Information Security Policy — What Do International Information Security Standards Say? Computers & Security, Volume 21, Issue 5, 1, 402-409. 11. ISO/IEC 17799. 2005. ISO. Information technology -- Security techniques -- Code of practice for information security management. International Standards Organisation. 12. John Lindström and Ann Hägerfors. 2009. A Model For Explaining Strategic IT and Information Security To Senior Management, International Journal of Public Information Systems. Vol 5:1. 17-29.13. Kajava J., Varonen R., Anttila J., Savola R., and Röning J. Senior Executives Commitment to Information Security – from Motivation to Responsibility, Proceedings of the International Conference on Computational Intelligence and Security, IEEE. 2006. 14. King, W. and Teo, T. S. H. (1997) Integration between business planning and information systems planning: Validating a stage hypothesis. Decision Sciences, 28:2, pp. 279-308. 15. Kolkowska E. Value Sensitive Approach to IS security – a socio-organisational perspective, Proceedings of the Eleventh Americas Conference on Information Systems. 2005. 16. Lederer, A. L., & Sethi, V. Key prescriptions for strategic information systems planning. Management Information Systems, 35-60. 1996. 17. Lindström John and Ann Hägerfors. A Model For Explaining Strategic IT and Information Security to Senior Management, Luleå University of Technology, Sweden, International Journal of Public Information Systems, Vol 1.2009. 18. Luftman, J. N. Competing in the information Age Align in the Sand (2nd ed.). New York: Oxford University Press. 2003. 19. Md Hafiz Selamat, Adam Suhaimi, Husnayati Hussin. January 2006. “Integrating Strategic Information Security with Strategic Information Systems Planning”. National ICT Conference 2006 (UiTM), Kangar. 20. Newkirk, H., and Lederer, A. The Effectiveness of Strategic Information Systems Planning for Technical Resources, Personnel Resources, and Data Security in Environments of Heterogeneity and Hostility. The Journal of Computer Information Systems, 47 (3), 34-44. 2007. 21. Jens Bartenschlager. 2011. Implementing IT Strategy: Laying a Foundation. Informatik. Management Research Centre Frankfurt School of Finance & Management.22. PWC, 2013 Information Security Breaches Survey: Technical Report. Department for Business, Innovation & Skills (BIS). 23. Rogerson, S. & Fidler, C. 1994. Strategic Information Systems Planning: Its Adoption and Use, Information Management and Computer Security, (2),1-7. 24. Sabherwal, R., & Chan, Y. E. (2001). Alignment between business and IS strategies: A study of prospectors, analysers, and defenders. Information Systems Research, 12(1), 11-33. 26. Vincent LeVeque. 2006. Information Security – A Strategic Approach, John Wiley & Sons, pp. 3-20, 149-152. 27. Ward, J. & Griffith, P. Strategic Planning For Information Systems (2nd Edition). John Wiley & Son, London. 2000. 28. Ward J. and J. Peppard, Strategic Planning for Information Systems, John Wiley & Sons, Chichester. 2002. 29. Wylder J. 2004. Strategic Information Security, Auerbach/CRC Press LLC, pp1-16, 139-153. 30. PWC, 2015 Information Security Breaches Survey: Technical Report, HM Government, UK. Abstract: In the last decade, the issue of sustainability has become very critical the world over for governments and business alike. This has seen an increased uptake of CSR activities by many organizations in the areas of environmental, social and economics as marked by increased expenditure in implementation of CSR programs in an effort to contribute to the sustainability agenda. However, most of the CSR programs adopted by organizations are not sustainable as they have weak integration to corporate strategies are faced by lack of project sustainability, financial sustainability, weak structures and systems and low visibility. Moreover, the companies also face threats from communities, complex regulatory framework and there being a mismatch between community needs and corporate objectives as most of the CSR projects are dictated by boardroom decisions. If a business is to have a deliberate positive and consistent impact on society, then its purpose and values should be shared by all those who may influence and be influenced, affect or get affected by its actions. This study therefore aimed at providing a predictive mechanism of the various influences of implementation of sustainable CSR practices in organizations through a case study approach of KenGen one of the key players in the energy sector of Kenya. The findings of this study is that interventions to reduce the restraining effect of negative influences such as internal inhibitors that sap out the power of positive forces on implementation of sustainable CSR practices. The paper therefore proposes management intervention measures such as development of measurement metrics that will help track performance and prioritization of CSR programs based on need and impact assessment to ensure improved livelihood of target beneficiaries. 1. Ambec, S., & Lanoie, P. (2008). Does it pay to be green? A systematic overview. Academy of Management Perspectives, 22, 4, 45-62. 2. Ayele, T.H.(2003). An Investigation Into the Practices of Social Responsibility Among Polythene Manufacturers In Kenya. Academy of Management Review3. Babbie, E. (2008). The Basic of Social Research (4th ed.). California: Thomson Wadsworth Publishing Company: Belmont C.A. 4. Babbie,E. (2004). The Practice of Social Research. Wadsworth Publishing Company: Belmont C.A. 5. Bain, J. S. 2010. Social Responsible Investing. New York: Wiley. 10. Burnes, B. 1996. No such thing as…a “one best way” to manage organizational change.Management Decision, 34 (10):11–18. 11. Byrne, B. M. (2001). Structural equation modeling with AMOS:- Basic concepts, applications, and programming. Mahwah, NJ: Lawrence Erlbaum. 13. Carroll & Budchholtz, (2012). The Pyramid of Corporate Social Responsibility: Toward the moral management of organizational stakeholders.Business Horizons Vol 34. 14. Carroll A. B. & Shabana K. M. (2010). The Business Case for Corporate Social Responsibility: A Review of Concepts, Research and Practice. International Journal of Management Reviews . 15. Carroll, A. B. (1991). The Pyramid of Corporate Social Responsibility: Toward the Moral Management of Organizational Stakeholders. Business Horizons, 34: 39–48. 16. Cavico,F. & Mujtaba,B. (2012). Social Responsibility, Corporate Constituency Statutes, and the Social Benefit Corporation. International Journal of Management and Administrative Sciences,1(7). 18. Cohen, A. J. (2006). Capital markets at the crossroads: Sustainable investing, environmental focus. Prepared for the Clinton Global Initiative Annual Meeting, September. 19. Cornell,S. & Shapiro,A. (2007).Corporate Social Performance Revisited. Academy of Management Review 16(4).20. Covin,A. & Miles, J.(2007). Strategic Management Concepts and Case. (12th ed.). New York. McGraw-Hill. 21. Creswell, J. W. (2003). Research design: Qualitative, quantitative, and mixed methods approaches(2nd ed.). Thousand Oaks, CA: Sage. 24. DiMaggio, J.& Powell,W. (1983). The iron cage revisited: Institutional isomorphism and collective rationality in organizational fields, American Sociological Review.48. 25. Esty, D. C., & Winston, A. S. (2006). Green to gold: How smart companies use environmental strategy to innovate, create value, and build competitive advantage. New York: Reed Elsevier. 26. European Commisson (2002). Corporate Social Responsibility- A business Contribution to Sustainable Development, Office for Official Publications of the European Communities, Luxermbourg. 28. Galan, J. 2006). Corporate social responsibility and strategic management. Journal of Management Studies 43 (7), 1629-1641. 30. Gall, M. D., Gall, J. P., & Borg, W. R., (2007) Educational Research: An introduction. Boston: Pearson Education. 31. Giampalmi ,D. (2013). Attitudes about Corporate Social Responsibility: Business student predicitors. Journal of Business Ethics. Vol 91(2). 32. Gichana D.B.O (2004). A Survey of Corporate Social Resonsibility Practices by Kenyan Companies: Acase of Companies listed in the Nairobi Securities Exchnage.33. Goldman Sachs Group (2007). GS sustain. New York: Goldman Sachs Global Research. 34. Goldman Sachs Group. (2007). GS sustain. New York: Goldman Sachs Global Research. 35. Gray, R., et al. (1996). Accounting and accountability-changes and challenges in corporate social and environmental reporting. Prentice Hall,London. 36. Harish, N. (2012). Corporate Social Responsibility in indian Companies. International Journal of Management, IT and Engineering, Vol.2, Issue5. 37. Harrington, E. et.al (2004).Sensemaking in organizations. Sage. 39. Heemskerk, L. (2012). How responsible is responsible business? An analysis of the drivers and effects of the responsible business practices of Dutch enterprises operational in Kenyan agribusiness. Master’sThesis, University Utrecht. 41. Ho, C. (2005). Corporate governance and corporate competitiveness: An international analysis, corporate governance: An International Review. Published PhD thesis HongKong Polytechnic University dissertations. 13(1), 211-253. 42. Jamali ,D. & Mishak, R. (2007).The case for strategic corporate social repsonisbility in developing countries. Business and Society Review. Vol 112 (1). 47. Kiraison, H. (2015). Developing Stakeholder Partnerships in Community Oriented Projects. 48. Kothari, C. R. (2004). Research Methodology. New Delhi: New Age International. 51. Kumar,P.(2010). Corporate Social Responsibility-Public Sensitivity.Proficient. 52. Kwalanda, R.(2007). Corporate Social Responisbility at Safaricom Ltd. Unpublished MBA Project, University of Nairobi. 53. Lopez, M., Garcia, A., & Rodriguez, L. (2012). Sustainable development and corporate performance: A study based on the Dow Jones Sustainability Index. Journal of Business Ethics, 75, 285–300. 54. MacWillaims, G. & Siegel,N. (2001). Researching Corporate Social Responsibility: An agenda for the 21st Century. Journal of Business Ethics (7).Management. 55. McWilliams, A., & Siegel, D. (2001). Corporate social responsibility: A theory of the firm perspective. Academy of Management Review, 26(1), 117–127. 57. Millon,D. (2011). Two Models of Corporate Social Responsibility. Wake Forest Law Review, Vol.46. 58. Mugenda, M. & Mugenda, A. (2003).Research Methods: Quantitative and Qualitative Approaches (2ndEd.). Nairobi, Kenya: Acts Publishers. 60. Muthuri, J. N. & Gilbert, V. (2011). An Institutional Analysis of Corporate Social Responsibility in Kenya. Journal of Business Ethics, vol. 98. 61. Muthuri,J. (2005). Corporate Giving: How much is enough? ; A theory of the Firm Perspective. Academy of Management Review,26. 63. Omoro,N. & Okiro,K. (2014). Investing in Corporate Social Responsibility and Sustained Gorwth in Kenya Commercial Banks. Journal of Emerging Issues in Economics, Finance and Banking. 66. Richard,S. (2008). Institutions and Organizations: Ideas and Interests. Los Angeles, CA: Sage Publications. 67. Roome,M.& Bergin, S. (2006). Corporate Social Responsibility Communication: Stakeholder information, response and involvement strategies. Business Ethics: A European Review, 5. 68. Sagebien, J. & M. Whellams (2010). CSR and Development: Seeing the Forest for the Trees. Canadian Journal of Development Studies, vol. 31(3). 70. Savitz, A., with Weber, K. (2006). The Triple Bottom Line. San Francisco: Jossey-Bass. 71. Savitz, A., with Weber, K. (2006). The Triple Bottom Line. San Francisco: Jossey-Bass. 72. Schmidpeter René, Weidinger Christina & Fischler Franz (2014). The Evolution of CSR from Compliance to Sustainable Entrepreneurship: Business Success through Sustainability, Springer Berlin Heidelberg. 73. Seidman, I. (2006). Interviewing as qualitative research: A guide for researchers in education and the social sciences, Third Edition.New York: Teachers College Press. 76. Suchman, M.C. (1995). Managing Legitimacy: Strategic and Institutional Approaches. Academy of Management Journal, Vol 20. 77. Teijlingen van, E., Rennie, A.M., Hundley, V., & Graham, W. (2001). The importance of conducting and reporting pilot studies: The example of the Scottish Births Survey, Journal of Advanced Nursing 34: 289-295. 78. UN (2012). The Johansberg GSDR On Sustainability: Highlights and the way forward. 79. UN (2015). The Global Sustainability Report: Transforming our World Voigt Christina (2009). Sustainable Development as a Principle of International Law: Resolving Conflicts Between Climate Measures and WTO Law, BRILL. 80. WBCSD (2001). Corporate Scocial Responsibility: Making Good Business Snse. Retrieved from www.sbcsd.org on November, 10th, 2015. 81. Willard, M. &Hitchcock, D., (2006). The Business Guide to Sustainability: Practical Strategies and Tools for Organizations. London: Earthscan. 82. Wirtenberg, J., Harmon, J., Russell, W. G., & Fairfield, K. (2007). HR’s role in building a sustainable enterprise. Human Resource Planning, 30 (1), 10–20. 83. Wirtenberg, J., Harmon, J., Russell, W. G., & Fairfield, K. (2007). HR’s role in building a sustainable enterprise. Human Resource Planning, 30(1), 10–20. 84. Zadek, S. (2002). "Balancing Performance, Ethics, and Accountability", Journal of Business Ethics, 17(13): 1421-41. Abstract: This paper deals with the theoretical investigation on a reduced sized Frequency Selective Surface (FSS). The FSS is designed by loading slit and slot into square patch. It has been observed, how the variation of the dimension of the slot and slit results in shifting of resonant frequency . Compared to conventional square patch FSS the designed FSS can provide reduction in resonant frequency resulting in size reduction up to 87% corresponding to resonant frequency of 2.44 GHz..Theoretical investigations have been done by Ansoft Designer® software. Propagation Magazine, IEEE, Vol 48, Issue 5, pp 29-37 (Oct 2006). 5. PhD Thesis of P.P.Sarkar, Some Studies on FSS,Jadavpur University 2002. Abstract: The distribution generator (DG) may be defined as the small-scale power generation technology that provides electricity closer to customers. The positive impacts of DG are: voltage support, power loss reduction, support of ancillary services and improved reliability. The investigation is done to study the impact of multi-DGs on power losses using the line loss reduction index (LLRI). The study has been carried out on IEEE 14 bus system using Newton Raphson (NR) method for load flow analysis. The investigation is carried out with the insertion of DG at different locations and the minima point was found. The experiment was performed with different sizes of DGs in medium ranges. The analysis of the results show that simply by increasing the number of DGs in the system to reduce the losses is not beneficial all the time. Beside the optimal location and size of DG for the loss reduction in distribution system, number of DG is also a vital factor. In this work, it is concluded that the optimal number of DGs is very important parameter to reduce the losses. The study gives the optimal number of DGs that could be installed in the distribution system to have minimum line losses. Keywords: Line loss reduction index, line loss reduction index, Multi-DGs, Newton Raphson. 1. F. Gonzalez-Longatt and C. Fortoul. “Review of Distributed Generation Concept: Attempt of Unification,” International Conference on Renewable Energies and Power Quality, España, pp. 16-18. 2005. 2. F. Sarabia, “Impact of distributed generation on distribution system,” PhD dissertation, Aalborg University, 2011. 3. T. Ackermann, G. Andersson , and L. So¨der , “Distributed generation: a definition,” Electric Power Systems Research vol. 57, pp. 195, 2000. 4. S. Gopiya Naik, D. K. Khatod, and M. P. Sharma, “Optimal Allocation of Distributed Generation in Distribution System for Loss Reduction,” IACSIT Coimbatore Conferences, vol. 28, pp. 42, 2012. 5. S. Kansal, B.B.R. Sai, B. Tyagi, and V. Kumar, “Optimal placement of distributed generation in distribution networks,” International Journal of Engineering, Science and Technology, vol. 3, pp. 47-55, 2011. 6. F. G. Longatt, “Impacto de la Generación Distribuida en el Comportamiento de los Sistemas de Potencia,” Universidad Central de Venezuela 2008. 7. Dharamjit, and D.K.Tanti, “Load Flow Analysis on IEEE 30 bus System,” International Journal of Scientific and Research Publications, vol. 2, 2012. 8. H. B. Chowdhury, “Load-flow analysis in power systems,” Handbook of Electric Power Calculations 2004. 9. Dr. Gleb V. Tcheslavski, “Power-Flow studies,” Fundamentals of Power Engineering, 2009. 10. M. Ilyas, S. M. Tanweer, and A. Rahman, “Optimal Placement of Distributed Generation on Radial Distribution System for Loss Minimization & Improvement of Voltage Profile,” International Journal of Modern Engineering Research, vol. 3, pp-2296-2312, 2013. 11. Available online: Electrical Power Lab, “Load Flow Analysis”. 12. M. H. Yaa’kob, “Power Compensation by Distributed Generation,” PhD disertation, Universitiy Malaysia Pahang, 2010.13. N. Rugthaicharoencheep and S. Auchariyamet, “Technical and Economic Impacts of Distributed Generation on Distribution System,” World Academy of Science, Engineering and Technology, vol. 64, pp. 288, 2012. 14. Paul M. Sotkiewicz, and Ing. Jesús Mario Vignolo,“Distributed Generation,” 2008. 15. P. Paliwal and N.P. Patidar, “Distributed Generator Placement for Loss Reduction and Improvement in Reliability,” World Academy of Science, Engineering and Technology, vol. 45, pp. 803, 2010. 16. Waseem, “Impacts of Distributed Generation on the Residential Distribution Network Operation,” PhD dissertation, Virginia Polytechnic Institute and State University, 2008. 17. James O’Donnell, “Voltage Management of Networks with Distributed Generation,” The University of Edinburgh, 2008. Abstract: In general, hybrid systems can be commanded by splitting the required power between the electric machine and ICE to meet the specific needs like fuel consumption, efficiency, performance, and emissions. This power splitting scenario, which is the key point of hybridization, is in fact the control strategy or energy management of the hybrid automobile. Performance of the system, therefore, depends on the control strategy which needs to be robust (independent from uncertainties and always be stable) and reliable. Moreover, in order to improve the system, the control strategy should be adaptive to track the demand changes from the driver or drive cycle for optimization purposes. In order to fulfill these conditions, there is a need to develop an efficient control strategy, which can split power based on demands of the driver and driving conditions. Hence, for optimal energy management of PHEV, interpretation of driver command and driving situation is most important. In view of this, a fuzzy logic based strategy for interpretation of driver command is proposed in this paper. Keywords: Hybrid vehicles, fuzzy logic, driver command, parallel hybrid vehicles. 3. Huang X , Tan Y, HeX. An intelligent multi feature statistica lapproach for the discrimination of driving conditions of a hybrid electric vehicle.IEEE Trans Intell Transp Syst 2011;12:453–65. 4. Murphey Y,Park J,Kiliaris L. Intelligent hybrid vehicle power control—part II: online intelligent energy management. Veh Technol IEEE Trans 2013; 62:69–79. 5. Di Cairano S,Liang W,Kolmanovsky IV,KuangML, Phillips AM. Power smoothing energy management and its application to a series hybrid power train. IEEETransControlSystTechnol2013;21:2091–103. 6. Cairano S,Di,BernardiniD,BemporadA,KolmanovskyIV.Stochastic MPC with learning for driver- predictive vehicle control and its application to the energy management. ControlSystTechnolIEEETrans2014;22:1018–31. 7. Zhang Y, Liu H,Guo Q. Varying – domain optimal management strategy for parallel hybrid electric vehicles. IEEE Trans Veh Technol 2014;63:603–16. 8. Zhang Y, Liu H-P. Fuzzy multi-objective control strategy for parallel hybrid electric vehicle. IET Electr Syst Transp 2012;2:39. 9. Borhan H,VahidiA,Phillips AM, Kuang ML,Kolmanovsky IV, Cairano SDi. MPC-based energy management of a power-split hybrid electric vehicle. Control SystTechnolIEEETrans2012;20:593–603. 10. Samanta CK Panigrahi SP, Panigrahi BK, ,Padhy SK. Hybrids warm intelligence methods for energy management in hybrid electric vehicles.IETE lectr Syst Transp 2013;3:22–9. 12. Powell, B. K., Bailey, K. E., and Cikanek, S. R.(1998), Dynamic modeling and control of hybrid electric vehicle powertrain systems, IEEE Conference. Syst. Mag., pp. 17–33, Oct. 1998. 13. Rahman, Z., Butler, K. L. and Ehsani, M., (1999),Designing parallel hybrid electric vehicles using V-ELPS 2.01, Proc. American Control Conference, San Diego, CA, June 1999, pp. 2693–2697. Abstract: Rapid advancement of the technology has made the telecommunication sector very competitive. In order to keep up with the competition, telecommunication operators have to identify the exact needs of the customers and offer services in-line with customer needs. The aim of this research is to investigate the applicability of data mining in identifying customer needs and how it can be adapted to increase the revenue of telecommunication companies. The objectives of this study include an investigation into the relationship between data mining practices and customer behavior patterns, relationship between customer needs and products or services, relationship between new product design initiatives and revenue increases of the companies, the impact of data mining on the revenue of telecommunications companies, and the development of a data mining framework to improve the overall Average Revenue Per User (ARPU) levels in the industry in addition to the designing of a Business Intelligence (BI) tool to enhance decision making processes for improving the overall ARPU levels of the industry. Firstly, the conceptual model is developed based on the feedback of a sample of employees who hold positions in the telecommunications sector. This model has four main variables; data mining, customer behavior, product and increased revenue. Secondly, a preliminary study was carried out to test the variables and to find out how data mining can be applied to identify customer needs and how companies can benefit from using data mining techniques in their businesses. Next, a Data Mining framework was developed to make sure that the expected results could be received from the data mining exercise in place. Finally, a Business Intelligence tool was developed to validate the data mining framework. The preliminary study revealed a clear relationship between the variables of the conceptual framework. Furthermore, it was evident that data mining could lead to better business decisions, apart from the other key benefits of using it, such as timely delivery of services and an increase in customer satisfaction which may affect the revenue of the company. The post survey validation from the target users (managers of telecom companies) indicated that the proposed BI tool is capable of retrieving much needed information for business decisions, which would lead to increased revenues of the companies. The long term results are likely to be positive in this context and it is also evident that the role of data mining can be expanded by the companies and that this practice could eventually lead to companies providing markets with the exact requirements. 4. Jiawei Han and Micheline Kamber Data Mining Concepts and Techniques BeiJing Higher Education Press, 2001:279-299. 5. Elder J F & Abbott D W, A Comparison of Leading Data Mining Tools, KDD-98. 7. Ren Mingshu, Study on Web Mining and Electronic Commerce, Shandong University of Science and Technology.2002. Keywords: indirect hot stamping, laser assisted heating, mechanical property. 3. Lu G, Yu T. Energy absorption of structures and materials. Cambridge: Woodhead Publishing; 2003. 6. Belova IV, Veyhl C, Fiedler T, Murch GE. Analysis of anisotropic behaviour of thermal conductivity in cellular metals. Scripta Mater 2011; 65:436–9. 10. READY J F. LIA handbook of laser material processing [M]. Laser Institute of America, 2001: 223-262. 12. Standard Test Methods for Flexural properties of Unreinforced and Reinforced Plastics and Electrical Insulating materials; Designation: D 790-02. 13. Marion Merklien, Wolfgang Böhm material properties of aluminum by local laser heat treatment. Physics Procedia 39 (2012) 232-239. 14. S. K. Hajra Choudhury, A. K. HajraChoudhury, N. Roy, “Elements of Workshop Technology,” Volume – I, Media Promoters and Publishers Pvt. Ltd. 2001. 15. G. E. Dieter, “Mechanical Metallurgy,” SI Metric Edition, McGraw Hill, Singapore, 1988. 16. American Society for Metals. Committee on Induction Hardening,“Induction Hardening and Tempering,” Metals Park, Ohio, American Society for Metals, 1964. 17. American Society for Metals. Committee on Induction Hardening, “Metals Handbook: Forging and Casting,” Metals Park, Ohio,American Society for Metals, 8th Edition, Volume 5,1977. 18. S. Zinn, S. L. Semiatin, “Elements of Induction Heating: Design,Control, and application,” ASM International, 1988. 19. K. Z. Shepelyakovskii, N.M. Fonshtein, V.P. Devyatkin, A. N. Mirza, B. K. Ushakov and B. O. Bernshtein, “Strength Characteristics of High-Carbon Steel with Controlled Hardenability After Bulk-Surface Hardening,” Volume 18, Number 5, New York , Metal Science and Heat Treatment, May, 1976, pp. 439-442. 20. K. Z. Shepelyakovskii, “Heat Treatment of Steel with Induction Heating,” Volume 19, Number 10, New York, Metal Science and Heat Treatment, October, 1977, pp. 909-916. Abstract: RSS technology is to find similarity in the articles to provide better services to user. The research is going on to find out semantic similarity in articles to reduce same type of articles read by user. Objective of RSS is to deliver content which is latest and consist of most relevant information to the user. Here, the research focus is to find out the suitable distance method that can be use to check similarity in the articles. Hierarchical clustering is one of the best methods to cluster the articles which are similar on some parameter various methods are used in HC (hierarchical clustering). Which method is best suitable to find the semantic similarity, similarity is the focus area of this paper. We have collected various articles from many news channel websites for a category (terrorist) by observing the articles. Thirty keywords are selected for the implementation for the proposed technique and comparison. We perform similarity checking on various numbers of articles like 18, 16, 12, 10, 9, and 6. After calculating the distance the cityblock distance method gives the best result. For this research work article from last one decade (2003-2013) has been selected. Keywords: Really Simple Syndication (RSS), Hierarchical Clustering. 1. Den Ma, “Use of RSS feeds to push online content to users”, Published in Elsevier Journal of Decision Support Systems, Volume 54, Issue 1, December 2012, pp 740–749, doi: 10.1016/j.dss.2012.09.002. 2. Just van den Broecke, “Pushlets” Published in IEEE Transactions of Web Technology, Vol. 22, no. 5, may 2011. 4. Lijing Zhang, “Research on Web-based Real-time Monitoring System on SVG and Comet”, Published in International Journal Vol.10, No.5, September 2012, pp 1142~1146, doi: 10.11591/telkomnika.v10i5.1347. 5. Manfred Hauswirth and Mehdi Jazayeri, “A Component and Communication Model for Push Systems”, Published in International Journal of Web Engineering and Technology, September 6-10, 1999. 6. Fekade Getahun Taddesse, Joe Tekli, Richard Chbeir, Marco Viviani & Kokou Yetongnon, “Semantic-based Merging of RSS Items”, Published in Springer Journal of World Wide Web March 2010, Volume 13, Issue 1-2, pp 169-207, doi: 10.1007/s11280-009-0074-4. 7. Fekade Getahun, Richard Chbeir, “RSS query algebra: Towards a better news management”, Published in Elsevier Journal of Information Sciences Volume 237, 10 July 2013, pp 313–342, doi: 10.1016/j.ins.2013.02.025. 8. Wang Lei, Wang Tongsen & Yang Ronghua, “ Data Compression Algorithm based on Hierarchical Cluster Model for Sensor Networks”, Published in International Conference of Future Generation Communication and Networking, 2008, Volume:2, pp 319-323, doi: 10.1109/FGCN.2008.96. 9. Markus M. Breunig, Hans-Peter Kriegel, Jörg Sander, “Fast Hierarchical Clustering Based on Compressed Data and OPTICS”, Published in Proc. 4th European Conf. on Principles and Practice of Knowledge Discovery in Databases (PKDD 2000), Lyon, France, Volume 1910, 2000, pp 232-242 doi: 10.1007/3-540-45372-5_23. 10. I-Ching Hsu, “Personalized web feeds based on ontology technologies”, Published in Springer Journal of Information Systems Frontiers, July 2013, Volume 15, Issue 3, pp 465-479, doi: 10.1007/s10796-011-9337-6. 11. Petros Belimpasakis & Anne Saaranen, “Sharing with people: a system for user-centric content sharing”, Published in Springer Journal of Multimedia Systems, November 2010, Volume 16, Issue 6, pp 399-421, doi: 10.1007/s00530-010-0200-2. 12. Wen Hu & Qing he Pan, “Data clustering and analyzing techniques using hierarchical clustering method”, Published in Springer Multimed Tools Applications, July 2013, doi: 10.1007/s11042-013-1611-9. 13. John Garofalakis, Vassilios Stefanis, “Using RSS feeds for effective mobile web browsing”, published in Springer Journal of Universal Access in the Information Society, November 2007, Volume 6, Issue 3, pp 249-257, doi: 10.1007/s10209-007-0086-8. 14. Chen Wu, Elizabeth Chang, “Aligning with the Web: an atom-based architecture for Web services discovery”, published in Springer Journal 24 May 2007, doi: 10.1007/s11761-007-0008-x. 15. Saha, S, Sajjanhar, A., Shang Gao, Dew, R., Ying Zhao, "Delivering Categorized News Items Using RSS Feeds and Web Services", Published in International Conference of Computer and Information Technology (CIT), July 2010, pp 698-702, doi: 10.1109/CIT.2010.136. 16. Preechaveerakul, L, Kaewnopparat, W, "A Novel Approach: Secure Information Notifying System Using RSS Technology ", Published in International Conference of Future Networks, March 2009, pp 95-99, doi: 10.1109/ICFN.2009.35. Abstract: In this work, the reservoir water level has been predicted using one of the soft computing techniques named Artificial Neural Network. The reservoir water level is influenced by many parameters. Among which the most influencing parameters have been considered here: amount of rainfall, temperature and evaporation. For this analysis, the reservoir made on Shetrunji River Dam in Dhari, Amreli district, Gujarat, India has been chosen as it was overflown seven times in last ten years. This shows the importance of water level prediction at this particular reservoir. The Neural Network is trained using the past data collected and further used to predict water level for the unknown data. The approach of the multiple regression is also shown for its comparison with the Soft computing approach. Computations and experimental works were done by programming in software MATLAB. Such modeling is useful for planning and decision making of opening gates for reservoir operation particularly during monsoon and water scarcity. 1. . N. Gujarati, “Forecasting reservoir water level & release decision by Artificial Neural Network – A caseStudy of Shetrunji reservoir”, Gujarat Technological University, M. E. Thesis, , 2012. 4. D. E. Rumelhart, J. L. McClelland, The PDP Research Group, “Parallel Distributed Processing: explorations in the microstructure of cognition”, vol. 1, MIT Press,1986. 5. G. Cybenko, “Approximation by superpositions of a sigmoidal function”, Mathematics of Control, Signals and Systems 2, 1989. 6. M. H. Beale, M. T. Hagan, H. B. Demuth,“Neural Network Toolbox: Users Guide”,TheMathworks Inc., 2015. Abstract: Cyber security is an important issue to implement. Different types of user authentication methods are used to achieve this goal. It helps to avoid misuse or illegal use of highly sensitive and confidential data. Text and graphical passwords are mainly used for authentication functioning. But due to various pitfalls, they are erroneous for data security. Text passwords are un assured for reasons and graphical are tight secured in comparison but are sensitive to shoulder surfing attacks. Hence by using graphical password system and CAPTCHA technology a new security primitive is proposed. We call it as CAPTCHA as gRaphical Password (CaRP). CaRP is a combination of both a CAPTCHA and a graphical password scheme. In this paper we conduct a encyclopedic analysis of existing CaRP techniques namely ClickText, ClickAnimal and AnimalGrid. We discuss the advantages and disadvantages of each method and point out research direction in this area. We also try to answer “Are CaRP as secured as graphical passwords and text based passwords?” and “Is CaRP protective to relay attack? Keywords: Captcha, CaRP, dictionary attack, password, graphical password. 1. Bin B. Zhu, Jeff Yan, Guanbo Bao, Maowei Yang, and Ning Xu, “CAPTCHA as Graphical Passwords—A New Security Primitive Based on Hard AI Problems”, IEEE TRANSACTIONS ON INFORMATION FORENSICS AND SECURITY, VOL. 9, NO. 6, JUNE 2014. 3. HP TippingPoint DVLabs, Vienna, Austria. (2010). Top Cyber Security Risks Report, SANS Institute and Qualys Research Labs [Online]. 4. B. Pinkas and T. Sander, “Securing passwords against dictionary attacks,” in Proc. ACM CCS, 2002, pp. 161–170. 5. P. C. van Oorschot and S. Stubblebine, “On countering online dictionary attacks with login histories and humans-in-the-loop,” ACM Trans. Inf. Syst. Security, vol. 9, no. 3, pp. 235–258, 2006. 6. M. Alsaleh, M. Mannan, and P. C. van Oorschot, “Revisiting defenses against large-scale online password guessing attacks,” IEEE Trans. Dependable Secure Comput., vol. 9, no. 1, pp. 128–141, Jan./Feb. 2012. 7. L. von Ahn, M. Blum, N. J. Hopper, and J. Langford, “CAPTCHA: Using hard AI problems for security,” in Proc. Eurocrypt, 2003, pp. 294–311. 8. K. Chellapilla, K. Larson, P. Simard, and M. Czerwinski, “Building segmentation based human-friendly human interaction proofs,” in Proc. 2nd Int. Workshop Human Interaction Proofs, 2005, pp. 1–10. 9. R. Lin, S.-Y. Huang, G. B. Bell, and Y.-K. Lee, “A new CAPTCHA interface design for mobile devices,” in Proc. 12th Austral. User Inter. Conf., 2011, pp. 3–8. 10. M. Motoyama, K. Levchenko, C. Kanich, D. McCoy, G. M. Voelker, and S. Savage, “Re: CAPTCHAs—Understanding CAPTCHA-Solving Services in an Economic Context,” in Proc. USENIX Security, 2010, pp. 435–452. 11. S. Kim, X. Cao, H. Zhang, and D. Tan, “Enabling concurrent dual views on common LCD screens,” in Proc. ACM Annu. Conf. Human Factors Comput. Syst., 2012, pp. 2175–2184. Keywords: Bang-bang inverter control, PI control, PMSM, vector control. 1. Goed, I. da Silva and P. Jose, A. Serni, “A hybrid controller for the speed control of a permanent magnet synchronous motor drive,” Control Engineering Practice, Vol. 16, Issue 3, pp. 260-270, March, 2008. 2. C. Mademlis and N. Margaris, "Loss minimization in vector-controlled interior permanent-magnet synchronous motor drives", Industrial Electronics, IEEE Transactions on, vol. 49, pp. 1344-1347, 2002. 3. Jian-Xin, S. K. Panda, P. Ya-Jun, L. Tong Heng, and b. H. Lam, "a modular control scheme for pmsm speed control with pulsating torque minimization", Industrial Electronics, IEEE Transactions on, vol. 51, pp. 526-536, 2004. 4. Jinggang zhang, Zhiyuan Liu and Run Pei, “Two-Degree-of-Freedom internal model control for AC servo system (Periodical style),” Transactions of China Electrotechnical Society, vol. 17, no. 4, pp. 45-48, 2002. 5. Shengxian Zhuang, Xuening Li and Zhaoji Li, “ The application in the speed regulating of asynchronous machine vector frequency changing based on adaptive internal model control (Periodical style),” Journal of University of Electronic Science and Technology of China, vol. 28,no.5, pp.502-504, 1999. 6. P. L. Jansen and R. D. Lorentz, "Transducerless position and velocity estimation in induction and salient AC machines", IEEE Trans. Ind. Applicat., vol. 31, pp. 240–247, Mar./Apr. 1995. 7. P. L. Jansen, R. D. Lorenz, and D. W. Novotny, "Observer-based direct field orientation: Analysis and comparison of alternative methods",” IEEE Trans. Ind. Applicat., vol. 30, pp. 945–953, July/Aug. 1994. 8. M. P. Kazmierkowski, and L. Malesani, "Current control techniques for three-phase voltage-source PWM converters: a survey", IEEE Trans. Ind. Electron., vol. 45, no. 5, October, 1998, pp. 691-703. 10. Hamdy Mohamed soliman and S. M. EL. 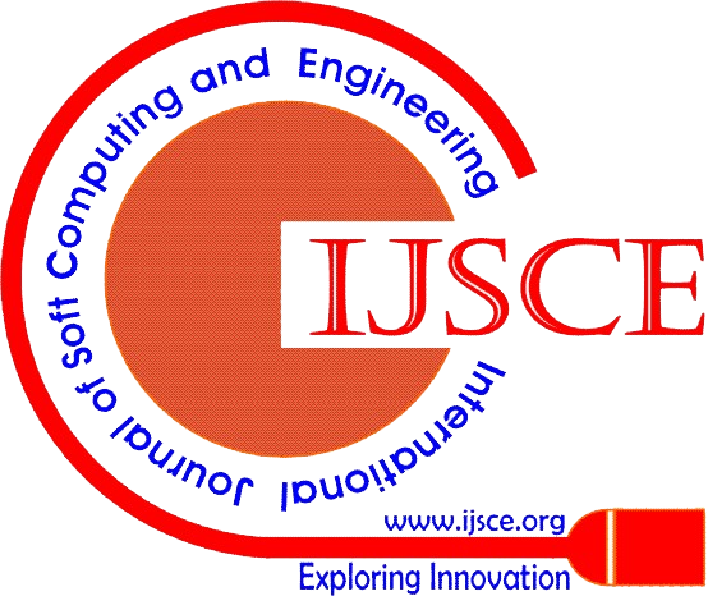 Hakim," Improved Hysteresis Current Controller to Drive Permanent Magnet Synchronous Motors Through the Field Oriented Control", International Journal of Soft Computing and Engineering , Vol. 2, No. 4, September 2012, pp. 40-46.